When I first heard Low two years ago, I fell in love with the sound in an instant. The band's "I Could Live in Hope" was always playing in our basement apartment. The lack of light filtering through our below-ground windows, combined with the slow, almost trance-like tempos and sounds of the album created a safe, yet drug-like haven from my hectic life as an overachiever. 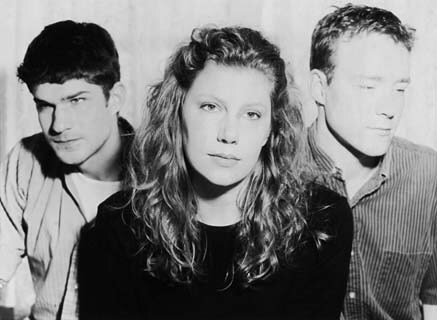 Low is guitarist/singer Alan Sparhawk, (his wife) drummer/singer Mimi Parker and bassist Zak Sally who hail from Duluth, Minn. Their songs are slow and heavy on the low end. This album also sees the addition of an occasional synth organ or string sound to the mix. Their first album was a constant blend of minimalist instrumentation embellished by a wash of reverb, each song filled with beautiful harmonies and intense tonal dissonances. Each subsequent release saw a move farther away from the wash. On "Curtain," the effect is remarkable. Low has reached a level of musicianship that in many ways transcends modern studio effects. The sound of this album is tighter, closer. The lack of reverb forces the listener into the mix instead of allowing that passive floating. Producer Steve Fisk (Boss Hog, Nirvana) has captured a truer rendering of their live sound. The album isn't completely free of effects, but they're no longer an integral part of their sound. They're used more to subtly blend timbres than to alter them or weigh them down. "Curtain" utilizes the effect of repetition to intense songs. "Over the Ocean" ends with a drilling guitar note, repeated over shifting chords. "Coattails" has only four words: "He rides on coattails." Parker's vocals occur between sections with pounding bass and guitar chords. The lyrics hover delicately on a single pitch; the stark contrast is ghostly. "Are you filled with lust? Would it kill you to trust?" the two plead on the beautifully solid track, "Lust." Check out this disc (or any of their others); it's definitely one of the best albums of 1996. Also, be watching for an upcoming Low show sometime around December. It's one you won't want to miss.